The umbrella was invented over 4,000 years ago and was used in early civilizations in Egypt, Assyria, Greece, and China. They were initially used as parasols to provide shade from the sun. The term comes from the Latin root word umbra which means shade or shadow. The first all umbrella shop “James Smith and Sons” that opened in 1830 still exists in the same location in England. The steel ribbed umbrella was invented in 1852 followed by the compact collapsible umbrella over a century later. Artistic umbrellas are common these days because almost everyone wants an umbrella that looks a little different than the others. They can be made of intricate designs, bright or neon colors, and even rare materials. If you walk down any street when it’s raining outside, you are certain to see numerous artistic umbrellas, and if you shop online, it is easy to find one that suits your tastes and preferences, regardless of what those tastes and preferences are. Automatic umbrellas are convenient because you can open and shut them with one hand, so they are very easy to utilize. There is usually a push-button near the bottom of the handle that you simply press to open it, and you usually only have to push the shaft down towards the handle to get it to close. Another advantage of an automatic umbrella is its size, because it is made to be compact and, therefore, fit in your purse or backpack easily and without incident. Most people nowadays carry this type of umbrella, mainly for convenience. A bubble umbrella is also called a domed umbrella because it is spherical in shape and has a canopy that fits down over your body. The canopy is much taller, in other words than a standard umbrella. In many cases, bubble umbrellas are made out of a clear material, in part because the canopy comes down over your eyes and the clear material allows you to see what is in front of you. Some of them also have binocular viewing ports to look out of, but in all cases, the canopy fits around your body. This is the most common type of umbrella, and they are usually not a foldable type of umbrella. They usually have shafts of polyester or metal and canopies made of some type of microfiber fabric, which keeps the wetness and rain off of you. Since they come in a variety of sizes, it is easy to find an umbrella that fits in your purse, backpack, or glove compartment, and their variety of colors guarantees you will also find something fashionable and trendy. Compact umbrellas can have characteristics of other types of umbrellas, but they all have one thing in common – they are small enough to fit into nearly anything, from a pocket to a briefcase and even a purse. 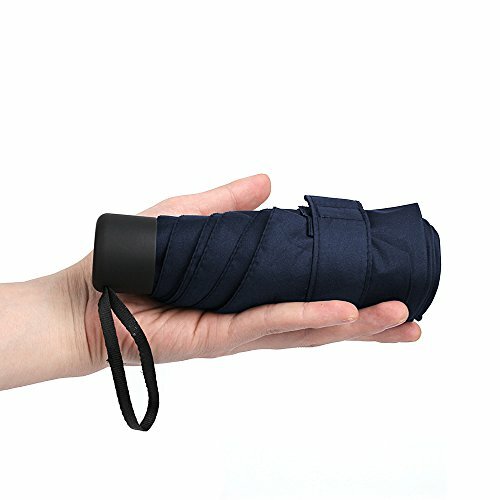 They are similar to pocket umbrellas, but they are created to be a lot sturdier and long-term, instead of being made for one time or short-term use, such as pocket umbrellas. They usually measure about nine inches long when closed, but when they’re open they are just as large as a regular umbrella. Many of them also have an automatic opening and closing mechanisms, and even though some high winds will ruin the umbrella, most of them are strong enough to withstand most inclement weather. Any umbrella with a unique design or shape can be considered a gadget umbrella. This doesn’t mean that these umbrellas don’t serve a purpose – they do, and they protect you from the rain and wind just as much as other umbrellas do. But, gadget umbrellas can include features such as handles that are shaped like cup holders, seals on top of the canvas that let the rain make fun designs, handles that look like Samurai swords, and even illuminated umbrellas. A lot of these umbrellas are purchased for children, where they are often shaped like various animals, but even grownups can enjoy these unique, attractive umbrellas. Golf umbrellas are specially made and are roughly 70 inches in diameter, sometimes bigger. With these umbrellas, you can carry a standard sized golf bag and also protect a small group of golfers if there is a sudden rain. In other words, they are made to protect golfers and their belongings if it suddenly starts raining during a tournament. Most golfers cannot imagine going out on the golf course without a good, high-quality golf umbrella. These umbrellas are specially made and extra thick, and most of them can be used in winds of up to 55 miles per hour. The reason they work so well is that they are made with a special reinforced material, and they are made to handle every kind of wind, heavy rains, and inclement weather. If you live in an area that gets a lot of this type of weather, these high-wind umbrellas should be found in your home or vehicle. Usually associated with the Chinese culture, paper umbrellas often have intricate designs and are used more for decoration than anything else. You can get limited protection from the rain by using a paper umbrella, but most people use them as a religious symbol or for an accessory. They usually come in colors such as red, white, yellow, and blue, and they are usually decorated with floral or other patterns and designs. They are really very attractive umbrellas, especially if they are designed and manufactured by a company with experience in this type of product. They can also be used as a parasol or as protection from the sun for those with sensitive skin. Thanks to the damage to our environment and the fact that it is getting warmer almost everywhere, parasols are making a comeback. At one time, getting a tan was considered unattractive, so women brought parasols with them everywhere to keep their skin nice and white. Used quite frequently in Asia, they are great for protecting your skin from certain health problems, and there is even a stationary type of parasol, which is found in public areas such as beaches, markets, and patios. Stationary parasols protect you from the heat and sunlight, and many of them contain special coatings that can even absorb UV radiation. In addition to the stationary parasols, you can also find them in a six- to a nine-feet size that you can fold and place in your car, which is perfect for your next trip to the beach. 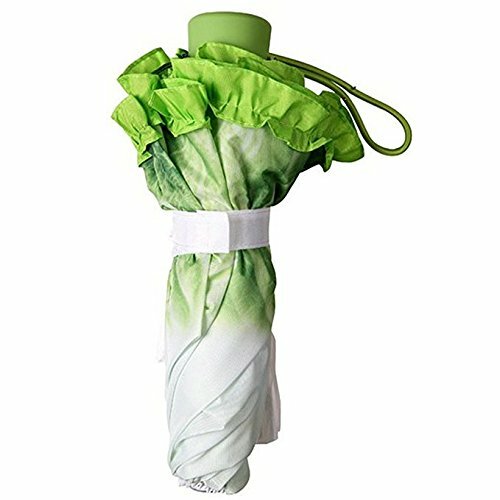 Pocket umbrellas are made to be portable and light because they are meant to fit perfectly in jacket pockets. Unfortunately, these umbrellas are not made for long-term use, because they usually have less-than-perfect durability and construction. If you carry it in a small purse or your jacket pocket, you can take it out whenever you need it, but if there is a lot of rain and strong wind, these umbrellas may not offer the full or long-term protection you may want or need. They are good to have around, but a stronger umbrella should be used for regular use. The shaft and handle of the umbrella are usually made of either steel, aluminum, wood, or even fiberglass. The runner, handle, stretchers, and ribs can be made of plastic, wood, metal, or some other type of material. The ribs are what runs underneath the canopy and reach all the way to the edges, and the stretchers attach those ribs to the shaft of the umbrella. The runner moves along the shaft of the umbrella whenever it closes and opens. Many people think that umbrellas are made of plastic, but this is rarely true because plastic is not permeable enough to handle what an umbrella does. The canopy itself can be made out of nylon taffeta with an acrylic coating underneath and a scotch-guard-type finish on the top. They can also be a microfiber fabric with water-repellent finishes. In other words, umbrellas are almost always made of a type of fabric, usually a woven fabric, as well as polyurethane coatings to act as a waterproofing device. Nylon is sometimes used because it can withstand direct sunlight, is very flexible, and it is a less expensive alternative to other types of materials. Umbrellas were invented in China around the year 21 CE, as a shade protection for people’s carriages. Parasols and umbrellas were very popular during the Roman Empire and regained their popularity during the Renaissance. In the beginning, only women used umbrellas, mostly as a way to protect their skin from the effects of the sun. In fact, in ancient times they were a sign of femininity, wealth, and power, and it stayed that way until the 1700s. Up to now, the United States Patent Office has received approximately 3,000 applications for a better umbrella. Some have included umbrellas with dog leashes attached to them and attempts to create an umbrella that flies. However, it is quite difficult to come up with an umbrella design that hasn’t already been done. Since early umbrellas were made with the intention of keeping people cooler instead of drier, they weren’t actually made waterproof until around the 11th century BC. These were made in China, where most of the umbrellas are still produced today. Thanks to modern technology, many umbrellas nowadays have canopies that are coated with Teflon, which makes them super water resistant. It is also a relatively inexpensive item to use on umbrellas and keeps their costs down.